Grappa Lagrein Riserva aged in Barrique for 18 months. This Grappa Lagrein represents our constant pursuit for higher quality and demands superior experience in grappa distillation. The variety of different woods and barrel sizes in which this Grappa Lagrein is aged give it sweet notes of vanilla and chocolate and a surprisingly full, rounded and smooth finish. Recommended with: Robust, dark chocolate 70%, salmon, lightly smoked meats. Grappa Cabernet aged in Barrique for 18 months. This barrique-aged Grappa Cabernet impresses with its especially harmonious, delicate and fruity flavour with hints of vanilla and coffee. Fruity grappa distilled fresh grape peels for any occasion. Grappa pure Gewürztraminer pomace aged in Barrique for 18 months. 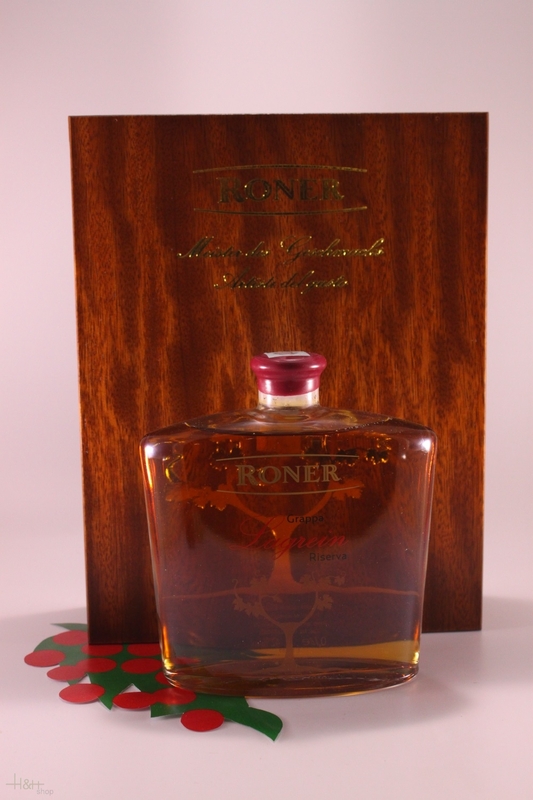 Passion and the professional expertise of the Roner distillery come together in this fine, barrique-aged Grappa Gewürztraminer of various vintages. Grappa Gewürztraminer, the right balance between sophistication and youthful freshness. Enjoy its spicy aroma in the nose, its full, fruity flavour, its subtle nuances and surprisingly smooth finish. 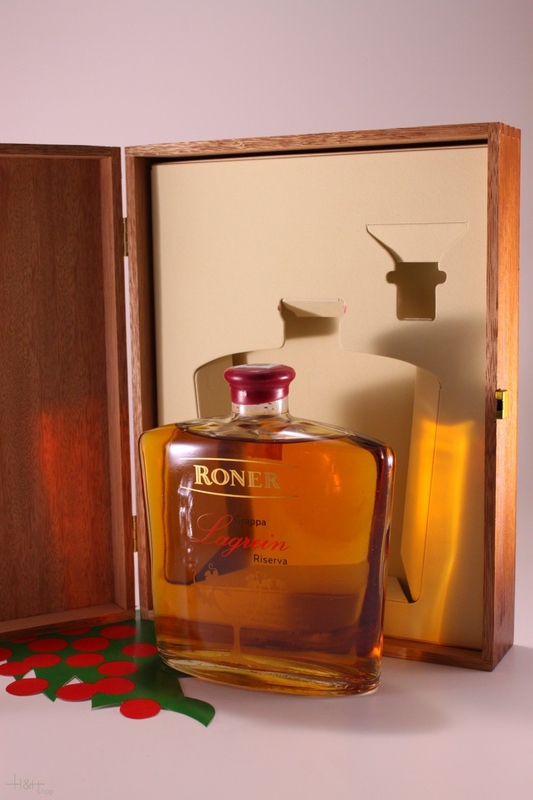 Grappa Lagrein Roner 70 cl. - South Tyrol 32,55 EUR / 46,50 €/lt.